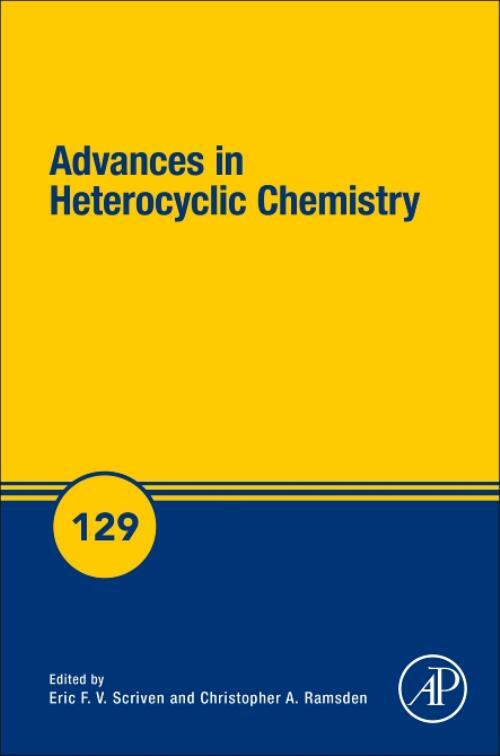 Advances in Heterocyclic Chemistry, Volume 129 is the definitive series in the field-one of great importance to organic chemists, polymer chemists and many biological scientists. Because biology and organic chemistry increasingly intersect, the associated nomenclature also is being used more frequently in explanations. Written by established authorities in the field from around the world, this comprehensive, updated release includes chapters on Metal-Catalyzed Direct Arylation of 1,2-Azoles, The Literature of Heterocyclic Chemistry, Part XVII, 2017, Pyrrolo-, Imidazoquinolines and Pyrroloquinazolines with a Bridgehead Nitrogen, Synthesis and Reactions of Arsole, Stibole, and Bismole, Advances in Synthesis and Chemistry of Aziridines, and more.